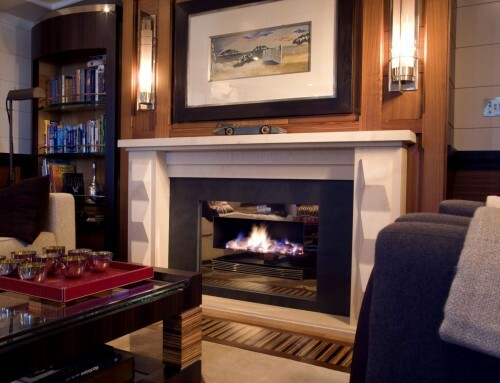 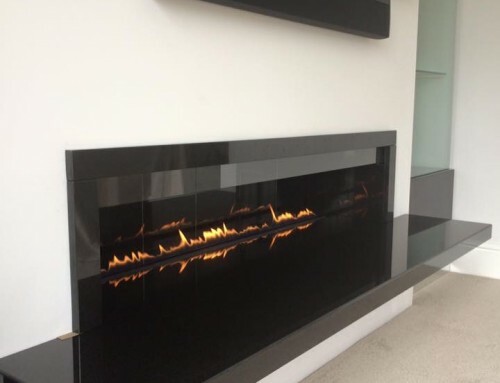 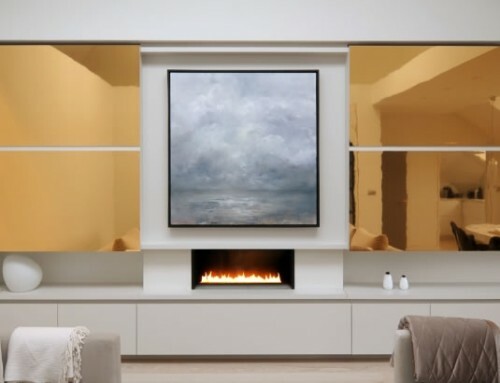 Design – Bespoke Ribbon Gas Fire with black interior. 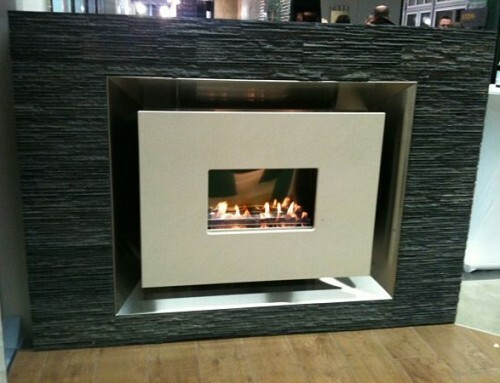 This gas fire was designed to fit into a contemporary wall design. 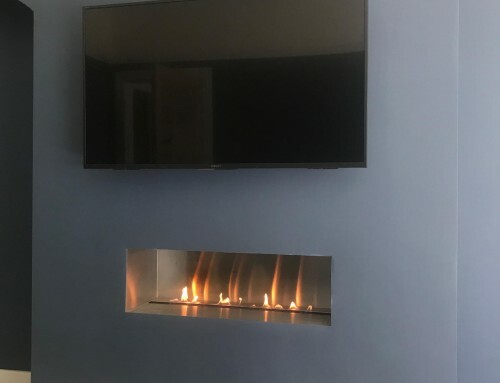 The contractor provided the base dimensions and our fireplace engineers created the perfect gas fire and flue pipe system. 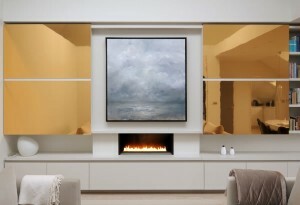 The 12Kw gas burner is operated by a remote control system. 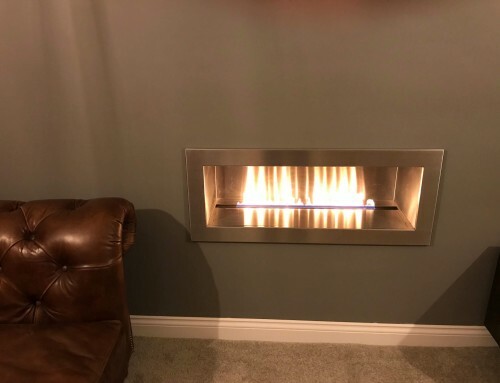 We have 4 standard gas ribbon burners – 520, 850, 1200 and 1500 that can be designed into a wide range of fireplace settings.